Wednesday, September 5, 6:30 p.m. CDT, Brookings – Gov. Dennis Daugaard will speak at the Daktronics 50th anniversary open house at 201 Daktronics Drive, Brookings, Bldg. 6. Tuesday, September 5, 8:30 a.m. CDT, Sioux Falls – The South Dakota Corn Utilization Council will be holding a meeting at 4712 S. Technopolis Drive. A full agenda can be found at https://boardsandcommissions.sd.gov/Meetings.aspx?BoardID=217. For more information, please contact the council at 605-334-0100. Thursday, Sept. 6, 8:30 a.m. CDT, Pierre – The Governor's Tourism Advisory Board will have a meeting at the De Smet Event and Wellness Center in De Smet. 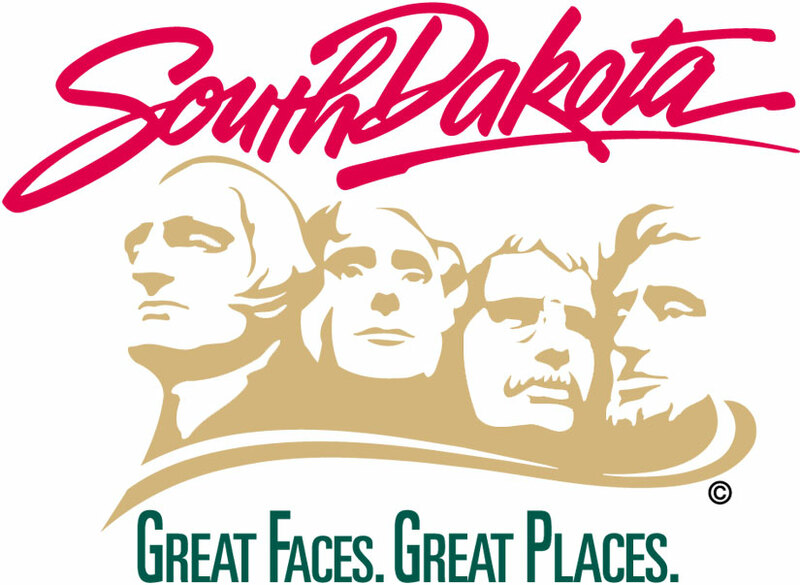 For more information contact Katlyn Richter, Media and Public Relations Director, South Dakota Department of Tourism, at 605-773-3301 or katlyn.richter@travelsouthdakota.com. Thursday, September 6, 8:30 a.m. CDT, Pierre – The Real Estate Commission will hold a public hearing to consider the adoption and amendment of proposed rules at the Missouri River Plaza, 123 W. Missouri Ave. More information on the public hearing can be found at http://boardsandcommissions.sd.gov/Meetings.aspx?BoardID=84. Thursday, September 6, 8:45 CDT, Pierre – The Real Estate Commission will hold a meeting at the Missouri River Plaza, 123 W. Missouri Ave. Meeting materials can be found at http://boardsandcommissions.sd.gov/Meetings.aspx?BoardID=84. For more information, please contact Melissa Miller at 605-773-3600. Thursday, September 6, 10:30 a.m. CDT, Sioux Falls – The Department of Social Services’ Board of Addiction and Prevention Professionals will hold a board of directors meeting at Park Place Center, 3101 W. 41st St in the conference room. Public input will begin at 11 a.m. For more information please contact Tina Nelson at 605-332-6778. To view the agenda, please visit http://boardsandcommissions.sd.gov/Meetings.aspx?BoardID=29. Thursday, September 6, 2018, 2:00 pm CDT, Pierre – The REDI (Revolving Economic Development and Initiative) credit committee will meet on Thursday, September 6, 2018 at 2 pm at 711 E Wells Ave in Pierre. Friday, September 7, 9:30 a.m. CDT, Pierre – The South Dakota State Historical Society Board of Trustees will be meeting on Friday, September 7, starting at 9:30 a.m. CDT at the Cultural Heritage Center, 900 Governors Dr., in Pierre. For more information call Jay D. Vogt, Society Director, at 605-773-3458. Friday, September 7, 10 a.m. CDT – The scheduled Cosmetology Commission meeting via conference call has been canceled. Friday, September 7, 1 p.m. CDT, Pierre – The Department of Social Services’ Medicaid Pharmaceutical and Therapeutics Committee will hold a meeting at 500 E. Capitol, Capitol Building DDN, Rm. CAP A. For more information and to view the agenda, please visit https://boardsandcommissions.sd.gov/Meetings.aspx?BoardID=204. Tuesday, September 4 to Thursday, September 6 - The South Dakota Department of Agriculture will be collecting pesticide containers at the following locations. For a full schedule of container pick up times and locations, please visit http://sdda.sd.gov/ag-services/pesticide-program/container-recycling-waste-pesticide-collection-program/Gallery/2018collections_Final.pdf. For more information on these collections, please contact SDDA at 605-773-4432. Thursday, September 6 – Wall, Dakota Mill & Grain, 12:30 p.m. - 3:00 p.m. MDT. Tuesday, September 4, to Thursday, September 6: The South Dakota Department of Veterans Affairs Field Service Officers will be at the following County and Tribal Veterans Service Offices to assist with veteran related claims, issues, and questions. Tuesday, September 4, 9 a.m. – 3 p.m. CDT, De Smet – Kingsbury County Courthouse, 101 2nd St. SE. For more information during these hours, call 605-854-3309 or 605-688-4350 at any other time. Additional information at www.sdjobs.org. Tuesday, September 4, 8:30 – 11:30 a.m. MDT, Rapid City – At Western Dakota Technical Institute, Lewis & Clark Hall, Room L212. For more information on programs and services, call Kevin Dary, Lynette Engle or Melanie Garstenschlager at 605-718-2956 during these office hours. Additional information available at www.sdjobs.org. Wednesday, September 5, 12 – 3 p.m. CDT, Mobridge – At the Mobridge Economic Development Office, 205 2nd St. E., Suite 1, or call 605-380-8930 during these hours and 605-626-2340 at any other time. Additional information at www.sdjobs.org. Thursday, September 6, 1 – 3 p.m. CDT, Britton – At Marshall County Community Hall, or call 605-380-8930 during these hours and 605-626-2340 at any other time. Additional information at www.sdjobs.org. Thursday, September 6, 1 – 4 p.m. MDT, Rapid City – At Western Dakota Technical Institute, Lewis & Clark Hall, Room L212. For more information on programs and services, call Kevin Dary, Lynette Engle or Melanie Garstenschlager at 605-718-2956 during these office hours. Additional information available at www.sdjobs.org. Tuesday, September 4, to Thursday, September 6, Sioux Falls – Smithfield will conduct walk-in interviews at the Sioux Falls Job Service, between the hours of 8:30 a.m.-12 p.m. and 1-3 p.m., at 811 E. 10th St. Positions include productions workers. For more information, call 605-367-5300 or visit www.sdjobs.org. Tuesday, September 4, 9 a.m. – 4 p.m. MDT, Rapid City – At 2330 N. Maple Ave. For more information, call 605-394-2296 or visit www.sdjobs.org. Wednesday, September 5, 9 a.m. – 4 p.m. CDT, Pierre – At 116 W. Missouri Ave. For more information, call 605-773-3372 or visit www.sdjobs.org. Tuesday, September 4, 11 a.m. – 1 p.m. CDT, Sioux Falls – Sanford Health will be conducting an employer information session at the Sioux Falls Job Service Office, 811 E. 10th St. Positions are available for environmental service technicians, food service assistants and nursing assistants. For more information, call 605-367-5300 or visit www.sdjobs.org. Tuesday, September 4 – Benefits specialists from the Department of Social Services' Division of Economic Assistance will be available at the following itinerant office locations. For more information, contact Tia Kafka, 605-773-3165. Wednesday, September 5 – Benefits specialists from the Department of Social Services' Division of Economic Assistance will be available at the following itinerant office locations. For more information, contact Tia Kafka, 605-773-3165. Thursday, September 6 – Benefits specialists from the Department of Social Services' Division of Economic Assistance will be available at the following itinerant office locations. For more information, contact Tia Kafka, 605-773-3165. Friday, September 7, 4 p.m. CDT, Sioux Falls – The South Dakota Department of Human Services Division of Service to the Blind and Visually Impaired will hold a public forum on September 7 at the Country Inn and Suites located at 200 E. 8th St. For more information or to request accommodations for the meeting contact Gaye Mattke at (605) 773-4644. Office hours for DLR’s North Sioux City Job Service have changed. The office is open from 8 a.m. – 4 p.m. on Monday and Wednesday through Friday, and 1 – 4 p.m. on Tuesday. Call 605-677-6900 for more information.